Shyamal Mitra was one of the most popular singers of Bengal during the '50s to early '70s. He had a unique voice and was one of the most favourite romantic singers. Nearly all the composers of that time composed some unforgettable songs for him. He didn't sing many songs for Salil, but the ones he did are all classics. His interpretation and delivery of songs such as 'Jodi kichhu amaarey sudhaao' and 'Dur noi besi dur oi' is sheer magic. Salil also composed songs for the All India Radio in Calcutta and one of those 'Choley je jaay din', a wonderful composition with rather complex chord progression later became quite a hit (sung by Kishore) in the film 'Annadata'. Another AIR song 'Ogo Surangana' which Salil later used partly to compose the title music of 'Anand' was also a brilliant composition, which unfortunately never became commercially available.There's a Kannada version of this song in the film 'Samsayaphala' sung by Sabita Chowdhury (yes! she sings in Kannada) and P.B.Srinivas. Shyamal Mitra's voice was unique. It was slightly nasal, slightly high-pitched but it had a mysterious appeal. He was also a good composer. 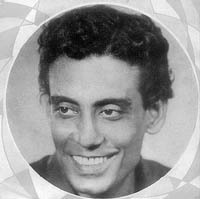 One of his famous compositions "Ei sundor prithibi chheDe", very much based on Salilic-structure is easily one of the most important compositions in modern Bengali songs. Salil composed only 8 songs for him and sadly two of them (AIR songs) were never released. But all these songs remain lyrically and melodiously some of the best compositions of Salil. "Ogo Surangana" later became the title music of the award winning Hindi film 'Anand'. There is also a rare version of "Jodi kichhu aamaare shudhaao" privately recorded by Debabrata Biswas. Rumour has it that he was very keen to sing this song but ultimately Salil gave it to Shyamal.